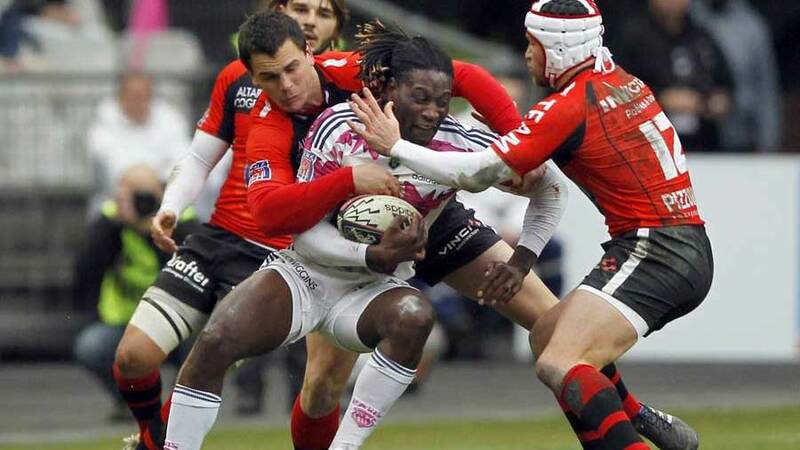 Harlequins have announced the capture of former England winger Paul Sackey who has joined the club as injury cover. Quins are currently counting the cost of a bruising J.P Morgan Premiership Sevens tournament which saw Ross Chisholm tear his ACL and Ollie Lindsay-Hague also succumb to injury. Conor O'Shea has acted quickly to paper up the cracks and has brought in Sackey. Sackey, who has 22 caps for England including 11 tries, has been running out in the Top 14 for the past three seasons after joining Toulon in 2010 from London Wasps. He then linked up with Stade Francais in 2011 but left the Parisian club at the end of last season. O'Shea is delighted with the capture and hopes Sackey will bring some experience to Quins' backline. O'Shea said: "With the unfortunate injuries to Ross Chisholm and Ollie Lindsay-Hague, together with the almost certain loss of Mike Brown to international duty in the autumn, to get the chance to sign a player of Paul Sackey's experience and ability is great for the club. "Paul is in good shape and I know how much he still wants to succeed. He wants to return to London after his time in France and finish his career on a high in his home country. I'm sure that together with our other experienced wingers, Ugo Monye and Tom Williams, he will pass on his extensive experience to the other young outside backs we have here." And Sackey is relishing the chance to turn out in the Aviva Premiership once again. "While I enjoyed my time in France, I wanted to return to England to finish my career, to be given the chance to do so at Harlequins is very exciting for me," Sackey said. "As a Londoner I know the club and its players very well and have admired the club's style of play over recent seasons. I'm looking forward to being a part of the squad as it seeks to continue its recent trophy-winning run."